This cut is also called a “King Steak,” and it’s clear why - a combination of strip steak and tenderloin, its tenderness and flavor is unmatched. Adding the buttery tenderness of Wagyu marbling to the mix takes it to the next level of mouthwatering deliciousness. 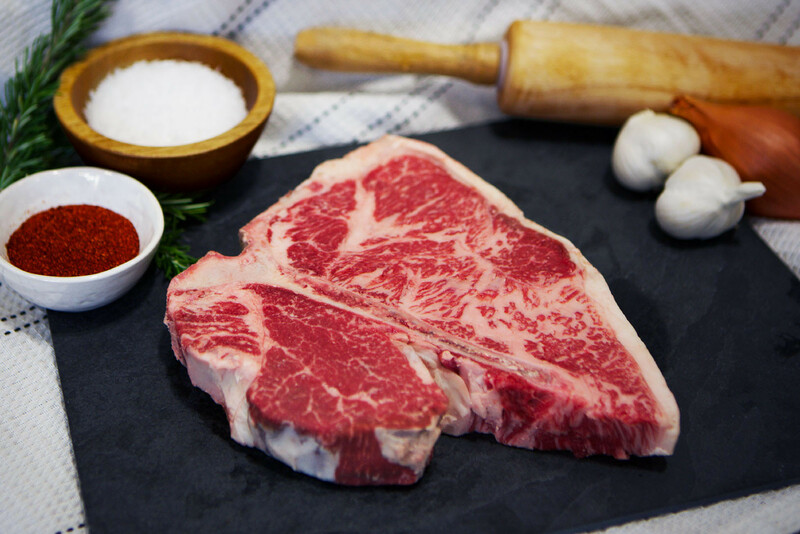 Similar to a T-Bone steak but with more tenderloin, the porterhouse steak is beautifully marbled and big enough for sharing (though we’re not sure you’ll want to! ).